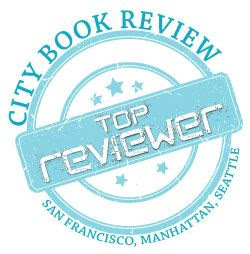 John Newhouse, who covered foreign policy for The New Yorker from the 1980s through the early 1990s, and is the author of eight other books including Imperial America and Europe Adrift, brings a seminal work of business history in Boeing Versus Airbus. This is the short but complete story of the two airplane-developing giants, their history, their rises and falls, and where they stand in the twenty-first century. Boeing is the more recognized name, based in Seattle, Washington, an example of what it takes to be a big and successful company in the United States. With the development of commercial aircraft, Boeing was early on the scene, and with some brilliant business strategies and a constantly developing technology, was able to seize the market and become the mainstay for aircraft development, leaving the leftovers for Airbus, the European aircraft development company, and the other US company, McDonnell-Douglas. With its constant development of bigger and better planes, culminating with the 747 – the most successful plane ever – the company remained on top for some time through the seventies and eighties; it seemed there was nothing they could do wrong, and Boeing felt entitled to this. Airbus began small, a conglomerate of European countries including France, Germany, Britain, and Spain, and lacking in a business drive they were soon passed by Boeing in the entrepreneurial world of aircraft development and sales. Nevertheless, they kept going, continuing to develop new planes and trying to keep up with Boeing, trying to make that one plane that would be better, more efficient than what Boeing had on the market, and finally turn the tables. In the late eighties, going into the nineties, this is essentially what happened with the development of the ever popular A340. Coupled with this development of a successful aircraft that airlines wanted to use, was the aforementioned arrogance of Boeing in assuming they were always going to be on top, and when the company changed CEOs and business models, things started to go south for Boeing, and for the first time Airbus was a name to be reckoned with. In the mid to late nineties, the future seemed hopeful for Airbus. Boeing had countered with some restrategizing and the development of the more spacious and organized 777. And then Airbus unveiled its secret weapon: the A380, known as a Superjumbo, the first double-decker commercial airplane. It was going to change the world, travel further than before, and with more people; orders were pouring in. And then the delays began, first technological ones, as development wasn’t moving fast enough, then some bad business decisions were made and the A380 still has yet to make its first commercial flight for an airline. Airbus hopes for this to change come late summer 2008. Meanwhile Boeing has its own secret weapon, the 787, which has been referred to and is now branded as the “787 Dreamliner,” and is scheduled to begin service in May, 2008. While the future for Airbus is not so good, and Boeing has regained its hold in the airline industry; the future still has a lot to offer this business giants. 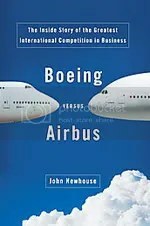 While Newhouse’s writing style seems like it needs some editing, with a repetition of facts already revealed throughout the book, the forced use of occasional quotes, and the somewhat lacking of direction in chapters, Boeing Versus Airbus is nevertheless a fascinating read written in a simple style that anyone can understand and appreciate.